If our schools today are to produce truly global citizens, then that puts a heavy burden on educators to stimulate critical thinking about the critical issues of the day – war and peace, global conflict and inequality, issues of gender, race, class, and so on. It’s a long list. Teaching for Peace is a new web resource where we bring it all together, and provide easy-to-use, practical classroom lessons as well as comprehensive links to resources for peace education. - #1: War Resisters in Canada: Send them back or let them stay? - #6: Responding to violence and war…Is violence ever justified? * Arts, crafts, music and video for peace education. Some of the world’s most inspiring movements for justice have been sparked by a timely protest song, poem, or slogan painted on a wall. * Background information and additional reading for educators. We help put the lesson plans in context, with background information and further reading. It’s a complex world out there, so we help you find the most authoritative sources. * A guide to the best of multi-media peace education resources available, including War Free TV, a site developed by Canadian youth for Canadian youth. * Comprehensive guide to print and web resources for peace education, organized by topic. 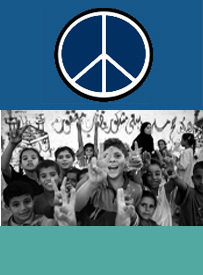 The Teaching for Peace Website is a project of the Burnaby Teachers Social Justice Committee. The Social Justice Committee seeks to develop classroom friendly materials on social justice and environmental issues. In this project, we have linked a wide range of peace websites as resources according to theme that could be used by educators to nurture a culture of peace and social justice in the classroom. Generally, the themes concern peace as they relate to ending war and global conflict. The web resources listed thus far provide an informative and introductory understanding for teaching peace in the classroom and we hope that the wide variety of websites chosen will promote discussion and debate in classrooms and the wider community. The peace websites chosen do not represent any single viewpoint, but rather, many possible views that will allow educators the freedom to access what they believe is appropriate for their classroom. The Teaching for Peace Website is a work in progress. The websites included are far from inclusive and provide opportunities for teachers and students to further research peace issues and to help build this website. We hope that you find this website useful. Funding for this website has been generously provided by the British Columbia Teachers' F ederation (BCTF) and with ongoing web support from the British Columbia Teachers for Peace and Global Education Association.